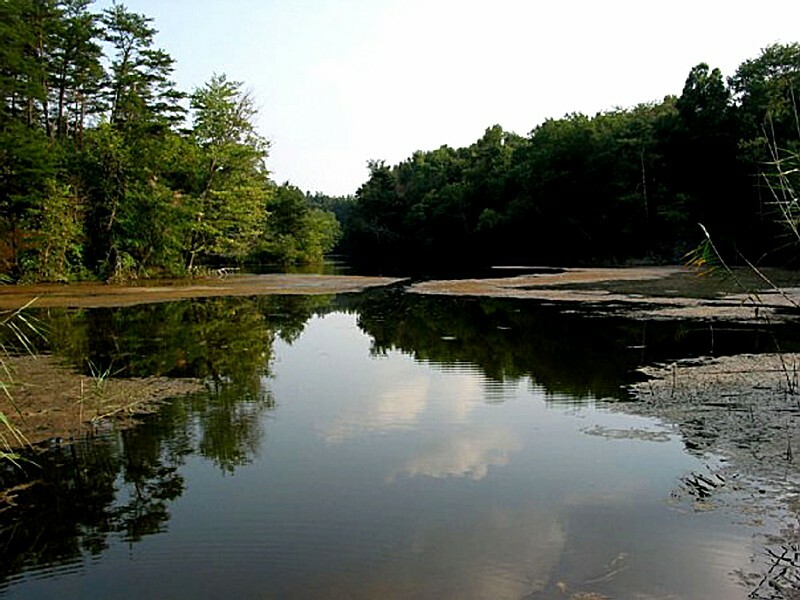 For a day of fishing, camping, hunting or just rest and relaxation, Greene-Sullivan State Forest is one of themost beautiful and serene places to visit. Greene-Sullivan was founded in 1936 when various coalcompanies donated more than 3,000 acres of property to the Department of Natural Resources, Divisionof Forestry. But that was just the beginning. Now the forest boasts almost 8,000 acres of beautifulwoodland and rolling hills dotted with more than 120 lakes, making it one of the most unique areas inIndiana. If you're not fishing or camping, there's still something for you at Greene-Sullivan State Forest. Otherfavorite activities include hunting, picnicking, mushroom hunting, horseback riding, photography andwildlife viewing. Primitive(class C) camping is available for a fee; campsites are available on a first come, first serve basis.Self check-in stations are located in each campground or at the forest office. Sites have pit toilets andseasonal drinking water available. There is a picnic table and grill located on each of the 100 familycampsites of Narrow Lake, Wampler Lake and Reservoir #26. An additional 20 sites for horse campersonly are available in the Horseman's Campground near Ladder Lake. A dumping station is also available.Reservoir #26 has a wheelchair accessible campsite, pit toilets and playground. With more than 120 lakes scattered throughout Greene-Sullivan State Forest's 9,000 acres, you'll never fall short of fishing opportunities! In fact, the forest offers some of the finest fishing in the state. Most of the lakes are stocked with largemouth bass, bluegill and redear sunfish. The state record bluegill, weighing 3 lbs. 4 ozs. was taken from Reservoir #26 in 1972. In some of the lakes you can find channel catfish, bullheads, crappie and warmouth. Airline Lake is also stocked annually with rainbow trout as part of a statewide put-and -take trout program. For those who enjoy the serenity of fishing, several of the lakes are "walk-in only" to provide a more secluded fishing experience. Approximately 60 of the lakes have easy access from county roads and have dirt or gravel launching ramps; boating limited to electric trolling motors. Muskellunge were stocked in Bass Lake in the fall of 1997. These fish should reach a harvestable size limit of 36" by the year 2000. Whitetail deer, turkey, squirrel, fox, and raccoon. A valid hunting license is required. Hikers and horseback riders are advised to wear hunter orange or other bright clothing while on trails during hunting season. There are picnic areas and four picnic shelterhouses available for day use. Picnic tables and grills arelocated at the picnic sites. Wheelchair accessible picnic tables are available at Narrow Lake, Reservoir 26and the archery range shelter houses. In addition, Greene-Sullivan offers an archery range, which the DNR Division of Forestry maintains in cooperation with a local archery club. This range features a shelterhouse, four practice targets at marked distances, and 15 targets scattered along a woodchipped trail to simulate hunting conditions. The archery range is available at no cost. If you are interested in organized shoots, the local archery club sponsors shoots monthly. You are welcome to participate in these 30 or 40 target shoots for a small fee. Love this place so many lakes and places to camp. My boyfriend and I used to go every 4th of July. He is now gone but I have the most wonderful memories. This has become my favorite place to go trail riding. The trails are very well maintained and offer something for everyone. Whether you like flat trails or a challenge, you will find it here. The day camp and overnight camping areas are nice also. The most affordable photographer in Greene County Indiana. We offer a large variety of professional photography products, from wallets to 20x30 prints, buttons, calenders, cards, invitations, portfolios more. I defy the rules of conventional photography to focus on your individuality by being a people in the environment photographer.